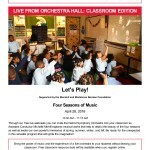 Bring your classroom to Orchestra Hall! For more than 80 years, the Detroit Symphony Orchestra’s Educational Concert Series (ECS) has introduced classical music to children across Michigan by featuring educational, entertaining and engaging programs with the Detroit Symphony Orchestra. 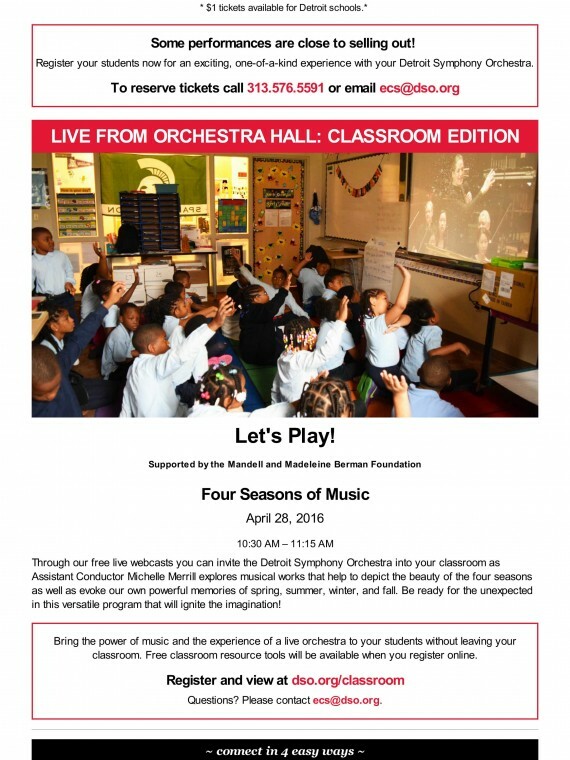 Join Assistant Conductor, Michelle Merrill and the DSO at historic Orchestra Hall as they lead teachers and students through a thematically designed educational concert experience. March 9, 2016 at 10:30 a.m. and 11:45 a.m.
March 10, 2016 at 10:30 a.m.
April 27, 2016 at 10:30 and 11:45 a.m.
April 28, 2016 10:30 a.m.
Tickets are available to Detroit schools for $1. 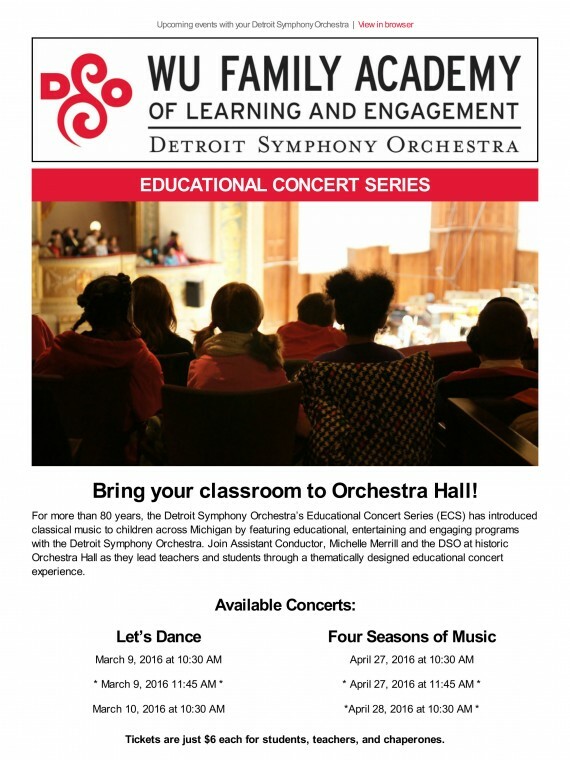 Register your students now for an exciting, one-of-a-kind experience with your Detroit Symphony Orchestra. 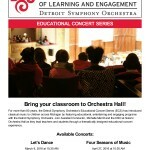 To reserve tickets call 313.576.5591 or email ecs@dso.org.